With the ability to handle the most demanding workload, Brother’s MFCL9570CDW Multifunction is efficient, reliable and works seamlessly with your systems and software. With the ability to print, scan, copy and fax in a single-bound, this super-machine features impressive print speeds and fastest scanning speeds in its class. It offers a user-friendly, large 17.6cm LCD touchscreen and the ability to configure 64 shortcuts that allow you to customise how you work. 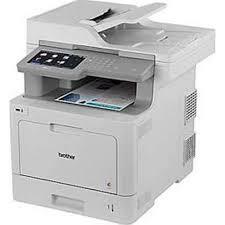 With USB, wireless and wired connectivity, and advanced security to control access and secure your confidential documents, simply put, the MFCL9570CDW Multifunction is the printer that helps your business run optimally, all the time.